Participation is included in the registration fee and needs to be booked during the registration process. 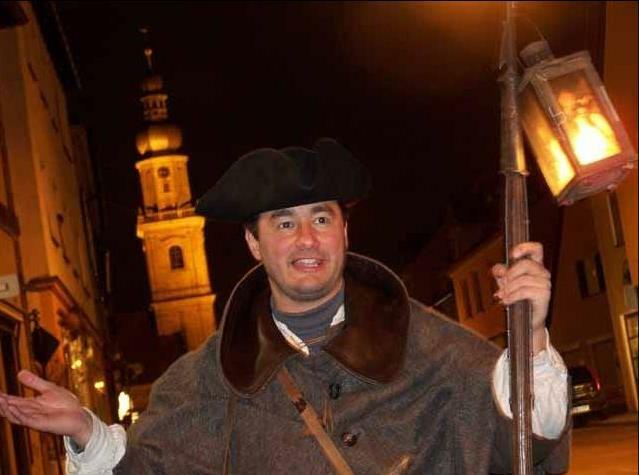 The somewhat different and surprising cultural city tour – enjoy a fun night walk through the history of Erlangens city! Equipped with lantern, horn and halberd, the night watchman tells all sorts of amusing stories of the “good old days”. Let yourself be told how the executioner came to his master’s letter, about the terrible fire of the Erlangen Castle, and what was done against cockish women.